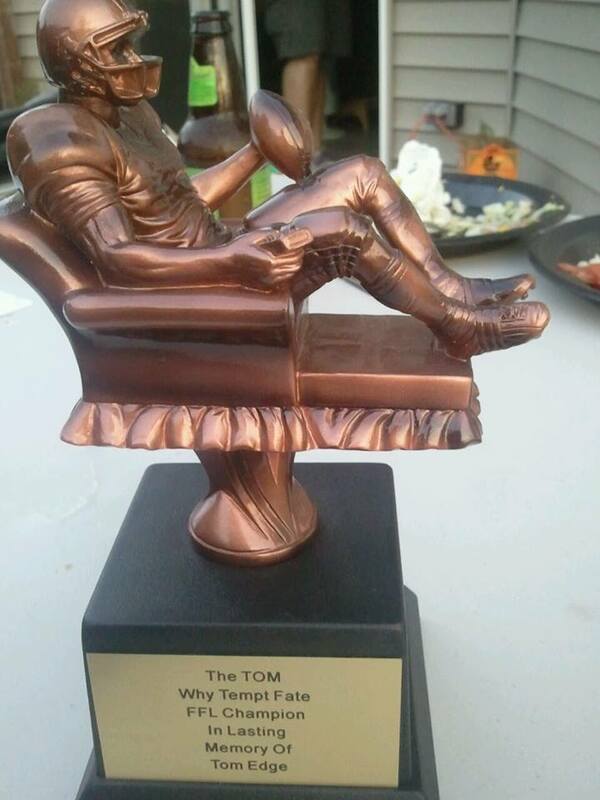 Tonight I get to participate in a super exciting event that 10 men (and one woman) wait with baited breath for each year…the LIVE fantasy football draft at the Millers. I have served as Assistant to the Auctioneer in this draft for 3-4 years (maybe more) and while I CAN enjoy watching a football game I am not a REAL FAN. So I enjoy this draft simply because the enthusiasm of the 10 fantasy team managers is infectious. Tonight one of the guys Mike expressed his thanks to the Auctioneer (Mrs Miller) and proclaimed this to be “OUR CHRISTMAS”. That analogy sort of put things in perspective for me as to how much enjoyment and enthusiasm these guys had for this event. NOT that I didn’t already know this with Mr Colter counting down the days over the last few weeks but Mike’s Christmas metaphor heightened my awareness to how thoroughly enjoyable this night was for these 10 men (and one woman). So what does this have to do with MY DREAM? I’m glad you asked!!! I have the very important duty of pulling stickers off the sheets as the managers call out “Quarterback, Tom Brady for $X” and the bidding begins. As each round passed I started to think, if I could draft a team, what would it be? Immediately ideas were bouncing in my head and I decided that I would draft a team of speakers and collaborators to put together a Touring Conference on HOPE that would sweep across the country like a tornado where the effects of its presence were noticeable well after the speakers left and the audience went home. As much as I believe that one day I will be a speaker in these types of conferences, at this point I am much more comfortable ENVISIONING the formation, draft-like recruitment of talent, detailed execution of a well thought out plan and most importantly the lives that will be transformed by experiencing the HOPE pumping through ever message spoken night after night after night. I know that I could be the Visionary for this type of event , I could be the Project Manager on all the details, I could be the Editor of each speaker’s message ensuring that they all tie together neatly AND rattle the cages of the audience in such a way that paradigm shifting is not only likely but inevitable. But I would NEED a team. This is a recurring theme of my dreams: I can’t do them alone. Needing other people is not comfortable for most people, myself included. I CAN and DO a lot by myself but whether it is my family team including my husband, our kids and myself OR teams that rally around the work and philanthropic endeavors I pursue, I NEED OTHER PEOPLE. Regardless of what dream I post, I must remind myself that I cannot do them alone…nor do I want to. I want a team to help and be helped by. I want the support of my family and friends. The image of a Lone Ranger is LONELY and that is NOT ME. So it is my privilege to passionately pursue my dreams in such a way that others may choose of their own free will to raise their hand and say, “I can help you” or “Can I help you?” or “I want to be part of what you are doing!”. P.S. I am not always in the business of recruiting my own team…sometimes I get even more excited by being part of a team someone else is recruiting. If you think I would make a great member of your team, send me an email to me at nicole@bartermatchmakers.com. You never know what I will be interested in doing next!! !